WoW Petopia Community • View topic - Pokemon! Lil more info on how throwing pokeballs will work in Handheld mode in Let's Go. You move the system to aim, and press 'A' to throw. Any other method of using the switch just requires you to flick the Joy-con. There are no ways, it seems, to throw the ball without motion controls. Lotsa info on Let's Go thanks to E3. 1: All Pokeball Plus accessories come with a Mew inside the ball that you can put into your game. You can even hear it inside. 2: There'll be bundles for each game that has the game and the Pokeball Plus together. 3: The size of the wild pokemon you catch augments how much exp you earn. Bigger = Better. 4: Like in Go, Razz Berries reduce capture difficulty. 5: All party pokemon gain exp from Capture, with bonuses earned based on the capture quality. 6: Some wild pokemon have an aura around them. Red auras mean that it is bigger than usual, blue aura means it is smaller than usual. 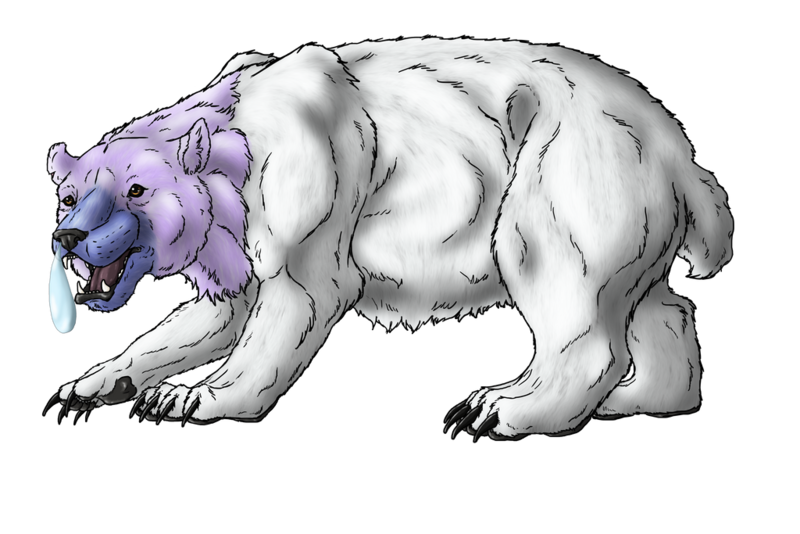 7: The 6 Stats as we know them (Hp, Att, Def, Sp Att, Sp Def, and Speed) are all still present, as are natures. 8: Pikachu is no longer dead weight against Brock in Pewter Gym thanks to him learning Double Kick now. 9: CP is confirmed to just be a visual showing the overall strength of your mon. 10: You can switch your following pokemon at any time. It doesn't have to be in your first party slot. 11: New rival in this game: Trace. He is far friendlier than Blue was. 12: You must have a Water or Grass type in your party to even attempt Pewter Gym...the usual dude that's always at Gym entrances won't let you through otherwise. 13: To link up with others via internet or wireless, you need a Link Code. This works like in Go's raids where the code is a bunch of pokemon. 14: Go Park replaces Safari Zone. You can have multiple different Go Parks saved. Pokemon sent from Go to Let's Go will end up here. Interact with them to catch them. They can't be sent back. 15: The higher the CP of the Pokemon in Go, the higher its lvl will be in Let's Go. 16: Candy can be used to boost stats. 17: Oddish and Butterfree now appear in Viridian Forest. 18: You can catch wild Pikachu in Let's Go! Pikachu.....these Pikachu CAN evolve. 19: You automatically start riding larger pokemon like Onix when you set them to follow you. Large pokemon are also automatically recalled when entering an area too small for them, then re-summoned when space permits. 20: Few extra trainers in places they weren't before (like a second trainer in Pewter Gym). 21: Your starter, while riding you, acts as an Item Finder/Dowsing Machine...alerting you to hidden goodies in some way (Pikachu wags his tail). 22: You get items for defeating trainers and catching stuff. 1: You can only send the first 150 Pokemon from Go to Let's Go (Bulbasaur to Mewtwo). This includes Alolan Forms. You can NOT send Mew if you earned one in Go. Buying the accessory is the only way to get Mew in Let's Go. 2: New lil side thing in Pewter where you have to watch a person's Slowpoke while they go in the museum. You'll be rewarded. 3: No more need to go to a PC to access your pokemon storage. YOur bag has the same function. So with E3 and such died down...what do y'all think of Let's Go so far? Why did they bother giving Pikachu the ability to learn Double Kick (which is VERY CLEARLY meant for Brock akin to FR/LG giving Charmander Metal Claw via lvl up)....only to tell us that we can't even attempt the Pewter gym without a Grass or Water type in our team? Kinda defeats the purpose of even putting Double Kick on Pikachu. Other than that lil tidbit...I'm sure I'll have a good time! I got my games pre-ordered. Its just hand-holding. Sadly, that happens a lot these days. Hopefully the main series that will eventually come out will have less of that. I'm excited for Gen 8 myself. Can't wait. Lets see if I can warm this thread back up! We got a possible leak for the new pokemon stated to be coming in Pokemon Let's Go. Naturally I try avoiding talking about these things for the most part...but since Serebii posted about it, it could very well be legit. Yeah, I've been looking at that thing throughout the day...really not sure about it...it doesn't really look like a pokemon...its very disjointed...the head? is like a different art style from the body. According to Serebii, its actually a tease that its been appearing to people recently. In Asia Pacific, Oceania....After the Community Day ended, many pokemon turned into this new one. Any attempts to capture the new mon were met with it turning into Ditto, Chikorita or others. It later replaced Kecleon spawns but was still uncatchable. Then Europe started seeing them. So...yeah. This thing is legit. I saw one earlier but it was too far away to interact with. It's animated sprite on the location tab is weirdly tiny. Now that I think of it, didn't Ditto originally have a metal type evolution that was scrapped in the Gold/Silver beta? The screaming spike one. This thing might be a rework of that. Maybe gen 8 is gonna be like gen 4 where they add a bunch of evos to old mons? The new pokemon is called 'Meltan'. It is a Pure Steel type Mythical Pokemon. More info on Meltan came up! It looks like Meltan may be able to evolve OR it has a Zygarde-esque form change! 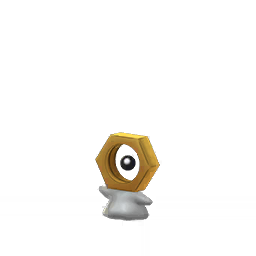 The obtaining method for Meltan has also been revealed! To get a Meltan, you need to transfer a pokemon from Go to either Let's Go game. This will give you a Mystery Box. Open the Mystery Box and this will provide a 30 minute buff where you can catch all the Meltan you want! Once the time is up, the Wild Meltan disappear until you open the box again. There is an unknown cooldown period before the box can be used again. When that time is up, send another pokemon to Let's Go and the box will be useable again. Once caught, Meltan can be sent to Let's Go. There will also be Special Research during winter that'll focus on Meltan. I have a flip phone. I cant get Pokemon Go :c Hope I can still get the new pokemon on Lets go. For those of you playing Pokemon Go: Sinnoh has been added. Turtwig line, Chimchar line, Piplup line, Starly line, Bidoof line, Kricketot line, and Buneary line are all readily in the wild. Riolu can hatch from 10km eggs. Luxio can also hatch from 10km eggs...this is likely to be changed to shinx eventually. Carnivine, Pachirisu and Chatot have been added as region exclusives. More on Go: Shinx can be found as a 1 star raid boss. Shinx can be shiny. Special Research that rewards Spiritomb added. 2: You must use the same pokemon that they use. Also, some of them, such as the Ditto Master, won't battle you and will instead have you do some other task. Win the battle/complete the task and you'll recieve the *Insert Species Name Here* Master title, which npc's such as Pokemon Center nurses will address you by. Been playing a lot of Pokemon Go recently, and I'm having a lot of fun! The release of Sinnoh excites me, some of my favorite 'mons are 4th gen. I want Giratina so bad, but there aren't a lot of coordinated raid groups in my area (at least that I know of). We already know how to get lil Meltan. (Transfer a pokemon from Go to Let's Go to get a box, use box for all the Meltan you want for 30 mins. After that time is up, the box goes on cd. After that's up, transfer another pokemon to use it again.). And we know that Meltan can be sent to Let's Go. MELTAN CAN'T EVOLVE IN LET'S GO. MELTAN CAN'T EVOLVE IN LET'S GO! To get Melmetal, you must evolve your Meltan in Pokemon Go (costs 400 Meltan Candy)....THEN transfer it. Melmetal has a signature move: Double Iron Bash....a Steel type move that hits twice and can cause flinching.